Schools here were closed Monday and Wednesday- I was so surprised about the Monday closure! This week is supposed to be warmer so Im sure it will be a full week, which will probably be a tough adjustment after so much time off! Same here! I didn't even check to see if we were delayed on Monday! We knew it was coming on Wednesday though! Good thing February is a short month. It's nice here today ND suppose to be warm here this weekend too. Hopefully winter is behind us. I am happy that right now the weather looks ok for my birthday. Some years it's tough to go out! We're suppose to have a warm week coming up too! 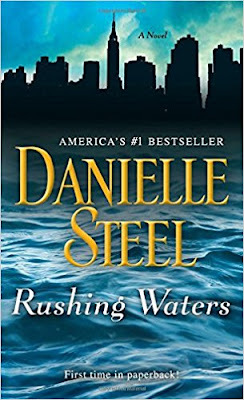 I haven't read a Danielle Steele book in ages! I thought I'd read them all but clearly, I have not because those are titles that I'm not familiar with. I definitely prefer real books. I have a kindle that I got a few years ago that I used a BUNCH and then, suddenly I wasn't using it. Hmm....I need to pull it out because I can "borrow" books on Amazon Prime. I've been to our local library - it's so small! I live in a small town so it make sense but ... I really need to get back in there. I don't know if I have time to read books for pleasure though. Class just started back up and I'm busy with that. Next one starts 3/5 and then another one starts 4/2. So much school!!! 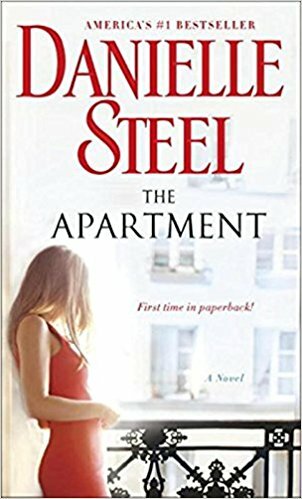 I have read a ton of Danielle Steel books (check my pinterest board) yet I still feel I haven't even scratched the surface. She writes SO many! Are you taking classes or are you teaching them? Wow, that's a lot of snow days/late starts all in one week! We have a new Superintendent, and she does not believe in calling off school (or delaying the start) unless it's near-blizzard conditions or sub-ZERO temps. It's been SOOOO cold , but we've had two (I think) delayed starts all year, and no snow days. Our school is really good at being proactive in any weather that could possibly be bad, which I appreciate. We did lose our winter break though and will have to make those days up. Boo! Love your snow dog! That's awesome that you got so much reading in this week. lol I wish we got 2 hour delays for work. I'm totally a real book person. I can't get in to reading electronic books....I'm not sure why. One reason why I don't hate winter is because I can always look forward to a 2hr delay every once in a while! Everyone got a snow day on Friday but me! When you work in healthcare, there are no snow days. We did close early so there’s that! Closing early is always something to be excited about! That's a lot of snow days! And, your snow dog is amazing! I have a pinterest board on books I've read that I haven't updated in ages -- oops. I read e-books because I don't have time to get to a book store. Plus I like being able to read a sample to make sure I like the book. Those e-books certainly are convenient! Wow, that was a lot of delays and closings - this winter has been very wintery. Definitely more wintery than last year, that's for sure! I was late hopping on the e-book trend, but once I did, I loved it! I have so many books on my Kindle, and it keeps storage to a minimum. I do sometimes get actual books, especially ones my mom and I share. I didn't think I was going to enjoy it as much as I do! I used to read Danielle Steel books! I love your sweet lab and your snow dog! How cute!! I don't know if it is because her book was the first real'non school' novel I ever read or what, but she is my favorite! I love how you get into decorating for all of the holidays! I am a big Valentine's day fan as well. I used to read Danielle steele books in HS a very long time ago! I love her books because they are fast and happy. We’ve had a lot of snow but I was able to run and clear sidewalks. Hopefully this week will be easier. I love her books too! The weather this week is looking favorable! I love that you decorate for all of the holidays and your dog is just too cute! Great job on the snow dog too! Last week the schools here were only closed on Wednesday due to a snow/ice storm. Thankfully the weather looks pretty good here for this week so I dont think there will be any delays/closings! I don't have any St. Patty's decorations. Guess I need to get some! Good on your for all that reading. I'm proud I managed 2 books this YEAR. Haha! Love your Valentine's Day decorations. I never thought to decorate. How precious is Baylee next to her snow doppleganger? How will you make up all those snow days/late starts? I haven't read many books for enjoyment since we started the blog many years ago, I guess I have a lot to make up for...haha. We do not have to make up late starts or early dismissals but we will have to make up the days we missed. Right now we are losing our winter break this month for make up days. I guess that's okay though because the students have several Fridays off in March. I love your Valentine's decor and the snow dog is so fabulous! We had a little snow this weekend but it is so dry you can't even make a snowball. I only ever read paper books - I just can't get into e-books, although I imagine that it is super convenient, especially for travel or if you just can't make it to the library. I never thought about the consistency of snow in different parts of the country. Is snow generally dry in CO? Baylee posing with snow dog is too cute! I love e books, I rarely read anything now that is a real book...it really has changed how younger kids feel about books, I feel like there is a lot less reading now. Which is sad. Yes you are correct. They are hooked to their ipads so much! I love the snow dog, so cute! The problems with the iFit sound really frustrating. Hopefully customer service can help out with that. I've really been leaning heavily on the ebooks recently too. They're just so convenient. I really hope to get this ifit thing figured out and working. It has been very frustrating. Darn it, I still really need to find a good book to start reading! Rushing Waters sounds really interesting! Wow you got a LOT of snow - I didn't realize it was that bad this past week! I guess I can't complain about the rain we've had! I think we got around 5 inches. So many snow days and delays! I’m glad you had more chances to sleep in this week! That dog flag is adorable!! I was SO thankful for more days to sleep in! I have a feeling that those days are done now for the rest of the year! I love your banner, your snow dog and Baylee's jacket! I understand your frustration with your iFit, technology can be so annoying when it doesn't work! I'm still a real books gal. I do read ebooks but I have to concentrate more. I think having a physical book in my hand focuses my mind on reading. Yea, I can see how reading on a device can be distracting. It's so easy to just browse something on the internet! And don't feel bad about downloading e-books from the library, I used to work for a county library system and funding comes through checkouts and it doesn't matter if they are paper or e-book. In fact some libraries are considering going nearly all e-book, which is sad, but it's just the way its going. But as long as your using any library service you are keeping the numbers up which means helping keep possible funding up! I wish I had more time to read, but after I graduate I am hoping too! That's good to know about the libraries. I still feel bad that so many of them are still getting rid of real books. We,ve done early dismissals. I hate the fact that we now have to make up days! Your snow dog is absolutely adorable (as well as Baylee). My teacher friends are always praying for snow days. especially if the governor declares a state of emergency. They don't have to make them up. I still buy paperback books when I read and have actually never used a library for checking out fiction. That sounds odd now that I say that. LOL. Thanks for linking! I don't think we have to make up days that were declared state of emergency either. So far none of ours have been yet. Love that snow dog! so cute! I will need to make one. I will definitely have a look at that Pinterest page! I have just finished my second book of the year - moving onto my third. And for the first time, I have joined a Book Club this year! Brilliant snow dog, so life-like! Have a great week! I hope you find a book from the page you want to read! I just downloaded a new one I'm looking forward to! Don't worry, there will always be people like me who pay lots of late fees and help keep the library open!!! :) Jk. I never downloaded ebooks from the library. I gotta figure out how to do that, then I won't get late fees! Even e-books have a due date! Don't worry though, when your time with it is up, it just disappears from your device. You don't pay a fine! I hear you on the book download thing. I do it, too, but I still love regular books. There's a brand new library being built right by my neighborhood, so I'm excited for that (and to introduce my son to the fun of libraries, too). Oh that sounds fun. I'd love to be able to walk to the library! I can't even remember the last time I read a book. :( It's a little disappointing because I was such a big reader as a kid. Times have changed though. I do feel like social media ruined reading for me. That stinks that you missed the memo on the delayed start. Oh you are so right, I definitely think social media has ruined reading! The snow dog is so cute! Yay for snow days. We've had so much RAIN here. UGH! I've always been a book person.. then I got a NOOK and read on it for a few years even though I didn't like it as much. Like you said... it was so convenient. Then I went back to real books and I just love them more. I can't help it. I bet during the summer months I will go back to real books. It's hard to read on an iPad outside in the sun, plus I probably don't want to take the iPad out to the pool either. I have had the same dilemma over library books since moving overseas. I used to visit my local library at least once a month and now I use my Kindle app. Crossing my fingers that your iFit got connected and I love the snow dog you created! Those are the perfect books to cozy up with! I also feel bad about libraries losing funding, but I will forever be a hardcover reader. The ebooks make my eyes hurt too much. Although I do love audio book versions too.